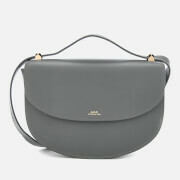 ‘Metropolis’ mini cross body bag from Furla. 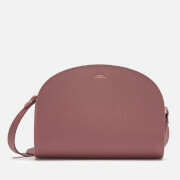 Made from pink grained leather, the compact shoulder bag forms a rectangular structure with a fold-over flap closure and secure push-lock clasp fastening that reveal the fully lined main interior with slip pocket. Detailed with a chain shoulder strap and protective metal feet. Finished with engraved branding.